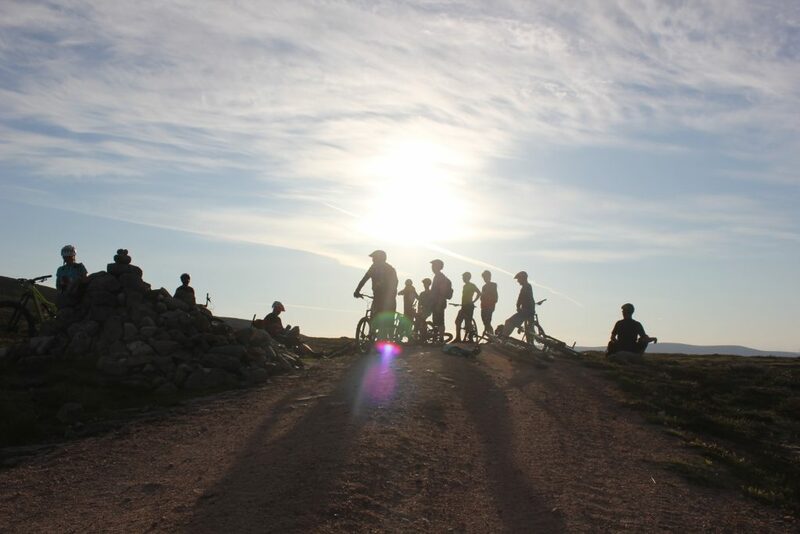 As you probably know we have a regular Tuesday evening mountain bike ride out from the Shop, we leave the shop at 7pm (Shop is open late every Tuesday for spares BTW) and ride for a couple of hours. This week saw us hit up the infamous Burma Road! If you don’t know what the Burma Road is then it’s definitely worth a try if you like a challenge! 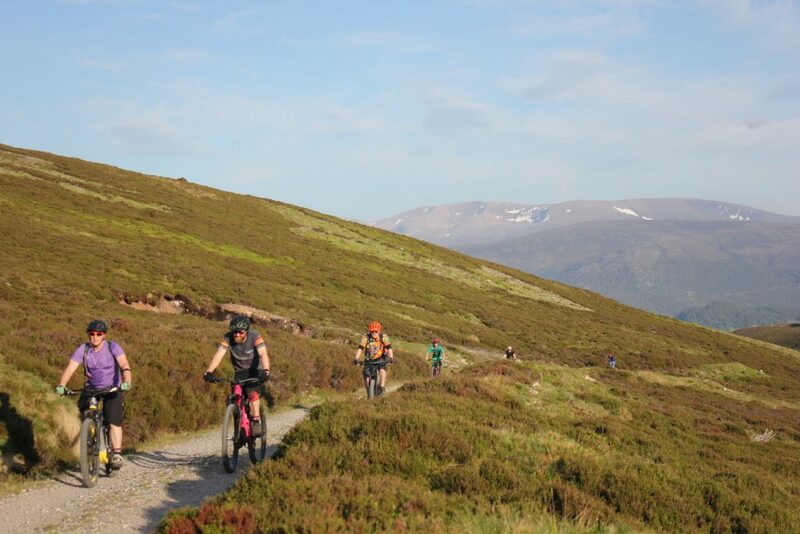 It was about 24 degrees on Tuesday night and all us Scots were dreading the climb in that heat…but we headed off anyway. 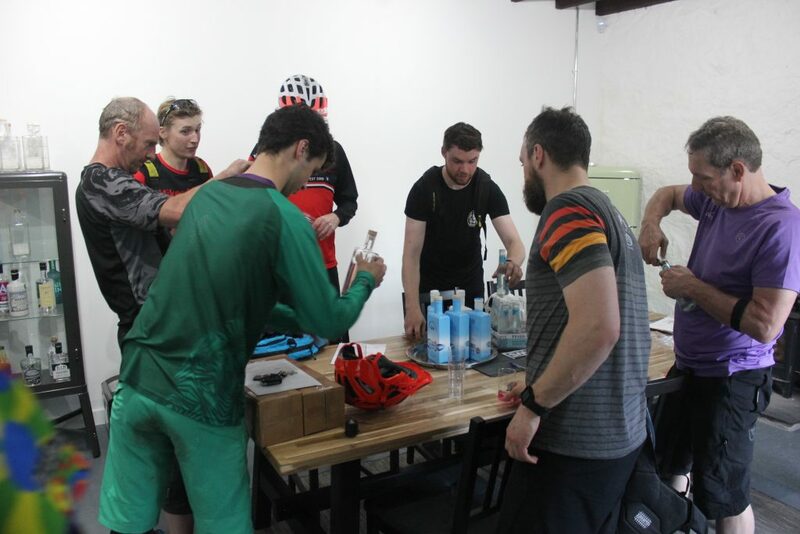 The first section of the Burma Road is definitely the hardest, just after Altnachriche Outdoor Centre you hit path that looks like a tarmac wall, it saw most of us already in our easiest gear! 20 Minutes later we were still grinding and suffering, (except our E-Bike regulars) and we were about half way up the climb – the view was stunning! After the ‘half way’ point there are a few false summits and by the time you reach the Cairn you have climbed around 500 Meters in 5 Kilometres, it’s pretty brutal but worth it, there’s no better feeling than being at the top of the Burma! After a wee bit of sunbathing and faffing at the top we started the technical descent into Kinrara. 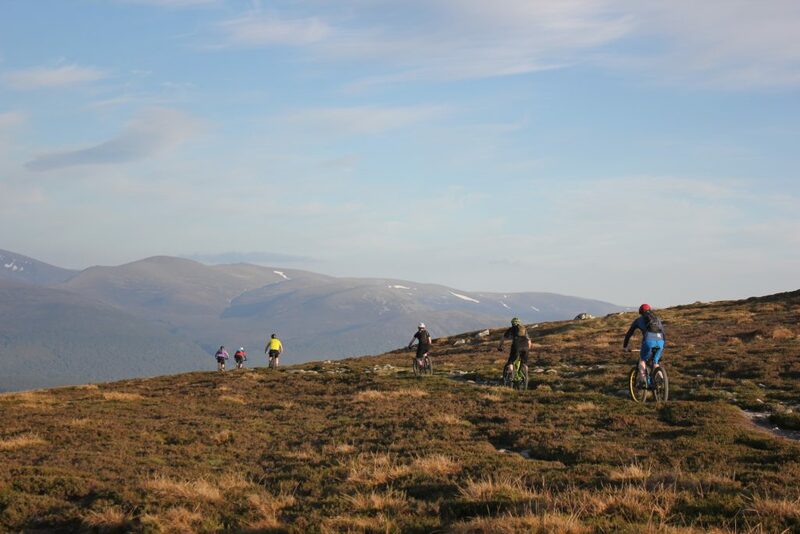 At this point you can alternatively keep grinding, climbing, cycling along the Burma Road to Carrbridge if you want to make a day of it and like long XC Days out on the bike. 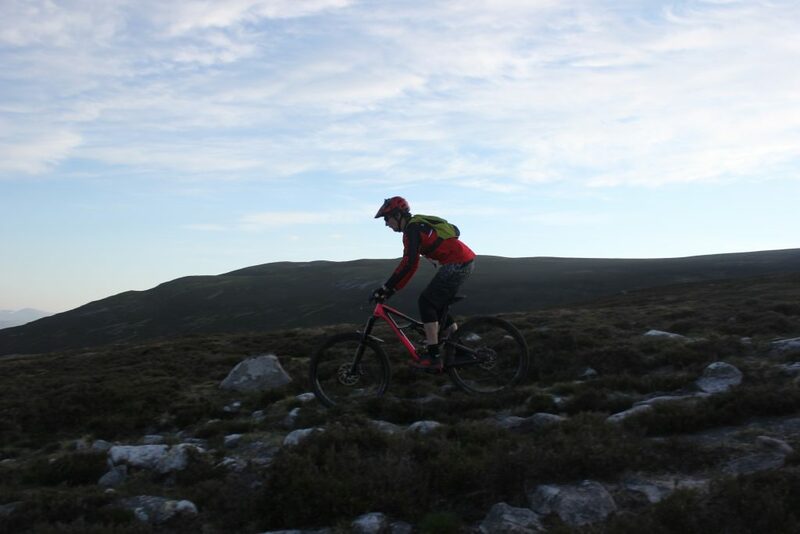 Anyway we were hitting up the technical singletrack descent, it starts with a fairly flat section full of boulders and ruts, we definitely recommend taking a spare inner tube or two with you just incase! 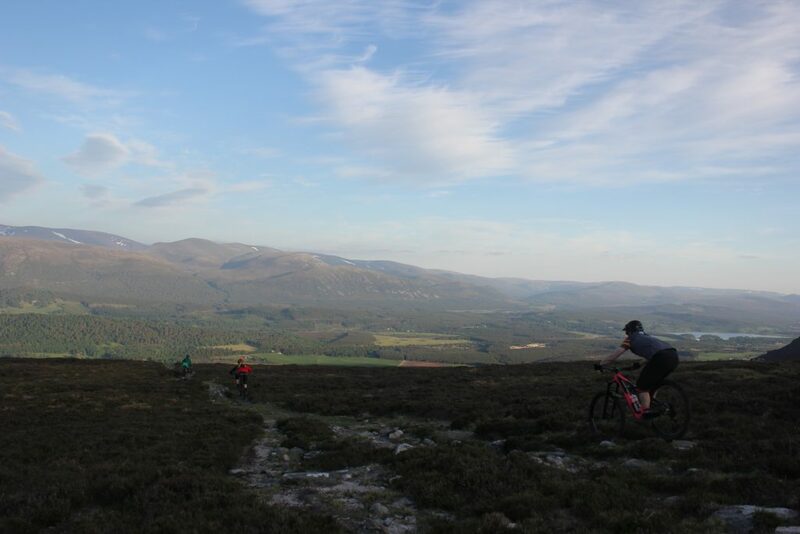 After the first section the path then sweeps to the right into another glen and you are faced with a stunning view of Loch Alvie and the Cairngorms, and to your right you can see as far as Loch Insh and Kingussie. At some points I didn’t know whether to look at the trail or the views. 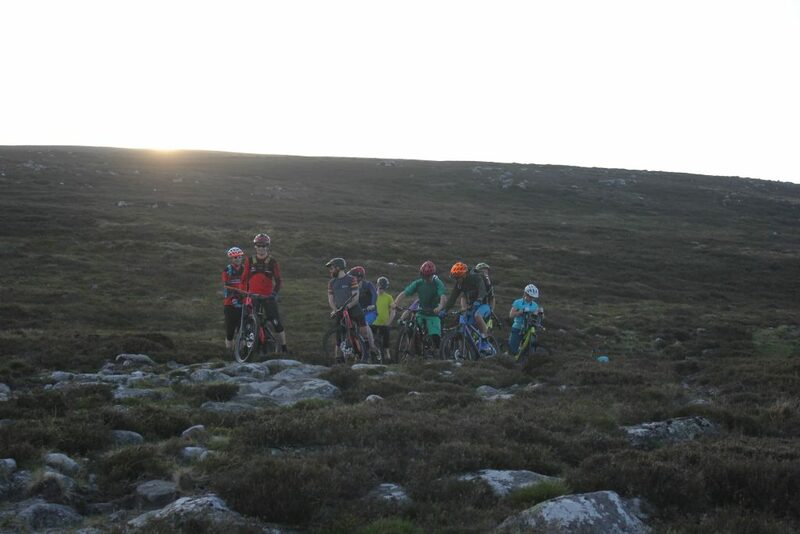 The track then gets a bit steeper and rougher and there’s so much line choice, it was awesome watching everyone go down a totally different way and trying to get your own flow! 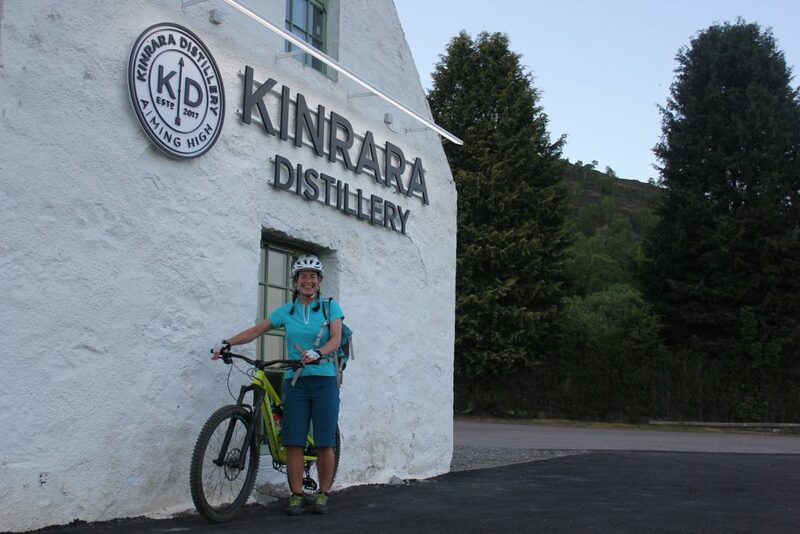 A mile along the farm track we reached the Kinrara Distillery, one of Scotlands newest micro distilleries, nestled in the Cairngorms National Park. 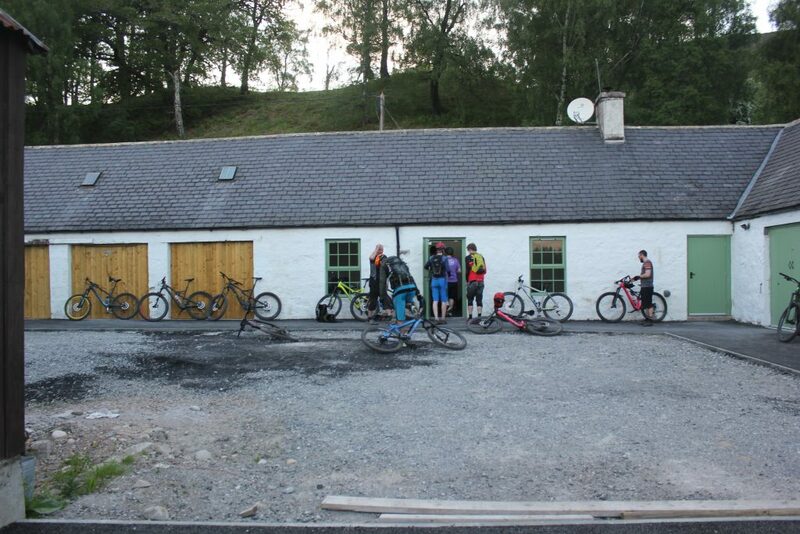 We jumped off the bikes and Stuart invited us in, what a place, neat, tidy and efficient! Stuart opened two bottles for us one of the standard Kinrara Gin and the other the pink Hibiscus Gin. They both went down a treat served with Fever Tree Tonic, the smell of the Juniper was lovely. We were then invited for a quick and informative tour of the distillery, we got to have a look at the little copper stills and were all amazed at the size of them compared to a Whisky Distillery where everything is huge and takes years to be produced! 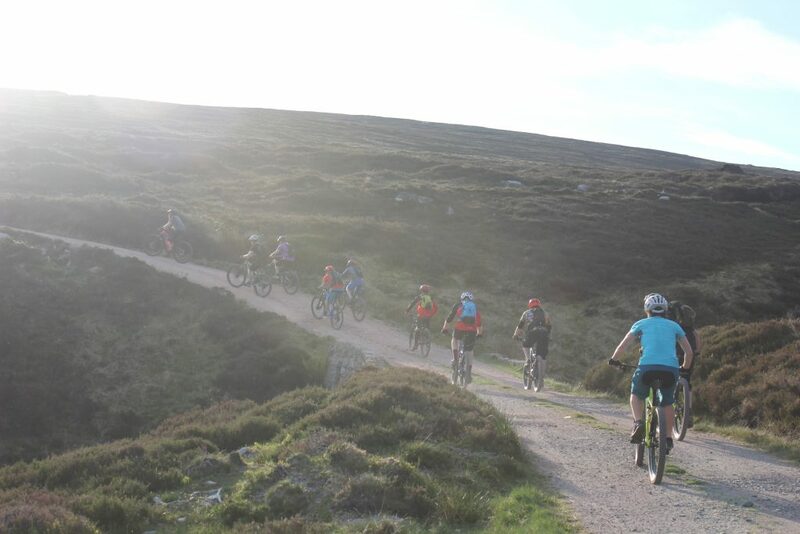 Or join us on a Tuesday evening bike ride!